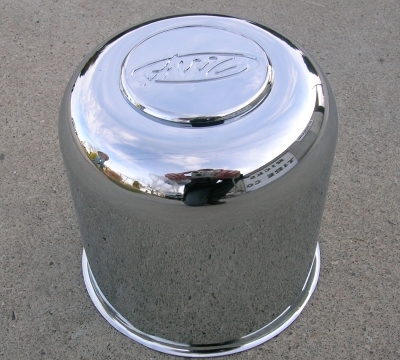 4.90 AWC Chrome Center Cap with removable end for easy greasing. "AWC" Lettering on the face of the cap. "Center Caps designed for the 7 Spoke 8 Hole Trailer Wheels"